Annapurna Region offers some of the most dramatic scenery in the world with trekking routes to suit all seasons and levels of fitness. 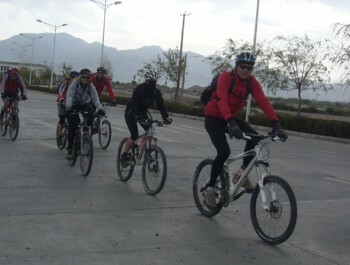 Our bike route follows the two major river valleys (the Marsyangdi and the Kali Gandaki) and popular trekking trials through Manang and Jomsom. Starting from Besi Sahar in the fertile middle hills, the route passes through Hindu Villages. An outstanding variety in the cultures and landscape can be seen along the route. Through a series of formidable gorges the trial takes to the upper Annapurna regions where the houses have Tibetan-style flat roofs and the Manangi men and women wear the Tibetan chuba. Here almost everything is Tibetan except the spoken language. 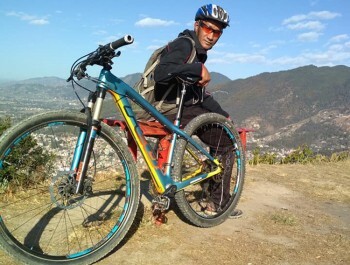 Day 01: Arrive in Kathmandu & transfer to the hotel in Thamel. Day 03: Drive to Besi Sahar. Overnight on Guest House. Make preparation for the tour. Arrange Porters, Equipments etc. Overnight on Guest House. Day 06 Taal to Chame, Overnight on Guest House. Day 07: Chame to Manang, Overnight on Guest House. Day 10: Thorung Phedi to Jomsom , Start very early in the dark as the trial gets very windy and very difficult to pass Thorung La. It's almost 4 hours to reach the top and its 100% carry throughout. This is the most difficult trial and the highest pass of the whole tour. 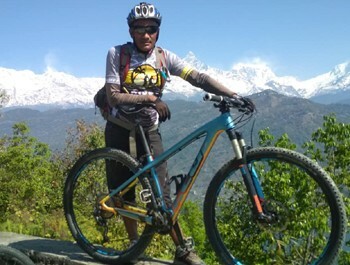 The trail begins with the descent of very steep slope for approximately 45 minutes then the normal ride able route starts to take the way to Jomsom. Day 13: Beni to Sarangkot Overnight on Guest House. 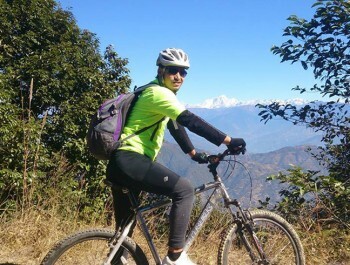 Day 14: Sarangkot to Pokhara Overnight on Guest House. Day 15: Drive to Kathmandu Overnight on Guest House. Take early tourist bus to Kathmandu. We have our breakfast and lunch on the highway. Day 16: Departure or settled your another program.